Hottest Wedding Cake Designs in 2018! This year has seen brides bucking all the trends – and wedding cakes are no exception! Blending classic, rustic, whimsical, and natural styles, brides in 2018 draw from old and new traditions to create show-stopping wedding cakes that capture their unique personality. Nothing stuffy or boring here! It’s all about fresh looks that make guests feel right at home. Naked cakes continue to be hugely popular, although they’re covering up (just a tiny bit) with a barely-there coating of buttercream. If your cake is filled with fruits, creams, or jams, guests will know long before the first piece is cut, as fillings are proudly displayed in all their glory. Naked cakes are unfussy enough for casual affairs and can be dressed up for more formal to-dos, as well. The “New Rustic” aesthetic is both natural and luxurious, and cakes in this style are adorned with luscious berries, seasonal fruit, and glazes, jams, ganaches or syrups. Paired with heaps of fresh greenery, flowers, moss and other natural elements, these woodland-inspired masterpieces can be served on a tree ring or wood stand to complete the look. Buttercream has overtaken fondant as the icing of choice for wedding cakes in recent years. It’s simple, it’s familiar, it’s easy to work with and easy to eat. For couples who want a more naturalistic cake, buttercream is the go-to choice. Versatile buttercream can be piped, plastered, swirled, swished, and swooped all over to create a huge variety of textures. Monochromatic all-over rosettes are quite popular, as are rough, spackled textures and intricate piped designs. Buttercream also takes flavors readily, so you can really go wild with your flavor combinations! This year is all about texture, and cake designers are letting their intricate design work take center stage. Layers and layers of texture meet on sculptural white-on-white designs– from bold ruffles and ripples that look like torn paper to quilted fondant, strings of pearls, cascading sugar flowers, and even delicate lace overlays. Keeping the color classic white elevates the whole design into a supremely elegant and refined creation that is almost too pretty to eat. Can’t choose between flavors… or designs? Don’t! Clusters of two, three, four or more cakes present a feast for the eyes as well as for the palate. All this variety means you can relax at the tasting table –there’s room for all of your favorites! Even a few daring choices, too, thrown in just for fun. Besides the opportunity to mix up flavors, opting for multiples lends the dessert table a lavish presentation and the chance to blend visual styles and concepts… or build up to a grand thematic finale! What could possibly be better than cake? Well, how about cake… AND ice cream sandwiches? Or macarons, cookies, meringues, donuts, popsicles, pies – you name it! Some couples even forego the cake entirely in favor of a large an diverse array of sweet treats that guests can pick and choose. I know… big wedding cakes are traditional (not to mention delicious!) but with so many brides going against tradition in 2018, the edible tower is getting left in the dust more often. Instead, small bites and passable sweets you can eat while dancing are very on-trend. Guests LOVE options and variety! And having the wiggle room to fill up a table with confections suited to the couple is an opportunity almost too sweet to pass up.  The Winmock at Kinderton team makes it a piece of cake!